The Ridgway National Trail begins in the World Heritage Site running east from Overton Hill just over 2km from the Avebury Henge. The corridor contains some important archaeology that has not been affected by cultivation in adjacent fields. To improve our understanding and management of this archaeology, a survey has been carried out by members of the World Heritage Research Group. 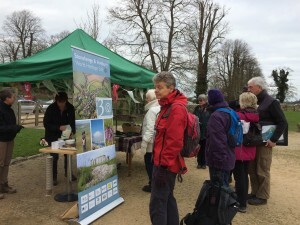 With this information, the World Heritage Site Coordination Unit is now working with the Ridgeway Officer, landowners and Wiltshire Council, Natural England and the National Trust to identify how to protect archaeology along this popular section of Nation-al Trail. One of the key issues to be tackled is extensive rutting caused by vehicles driving along The Ridgeway. The significance of this site demands best practice management, especially with lots of visitors from around the world looking on.